A BIT student in his sophomore year asked my typical day when I was in my freshmen and sophomore years in Beijing Institute of Technology. 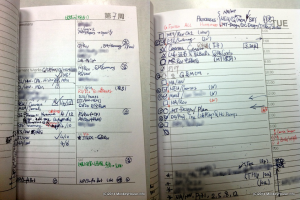 I found a picture showing my junior year's daily planner, and I hope it will work as a reference for the current students in the same department get ideas to optimize their time usage. My department in BIT required a heavy workload on the second year and the third year students. My free time was actually split into small fractions by endless courses. The main idea I had for using time was to ensure the in-class participation with the highest priority, and then I would try my best to finish my reviews of courses in the day I learnt them. The assignments were allocated to different days over the week so that I wouldn't be crazy of the unfinished homework, and I also knew that I could finish them on time with high quality, since I did not mix them or cram for them. 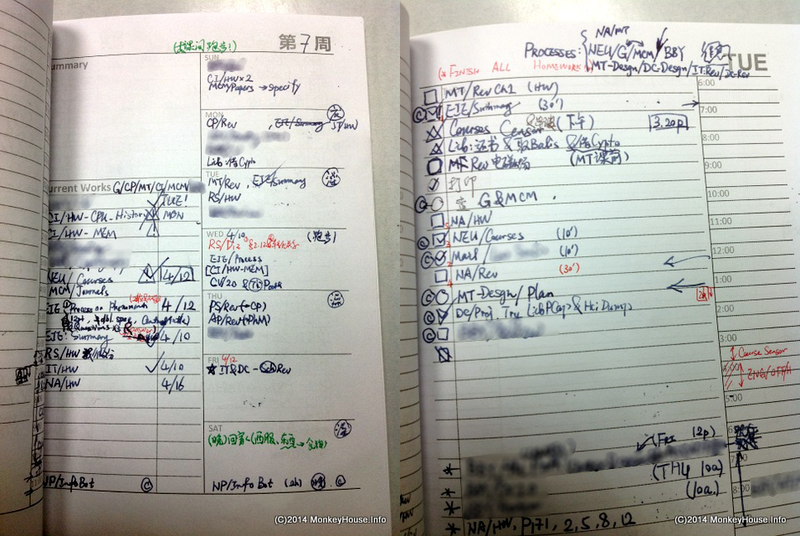 I designed this daily planner on my first junior semester, since I could not find somewhere to buy one in China. I started to use it for Spring 2013. I found it really convenient especially after I bought a planner in the US during my exchange year. My planner includes areas for recording the tasks in this week, allocating tasks over the days, listing all the things for a day, and planing a day by hours.